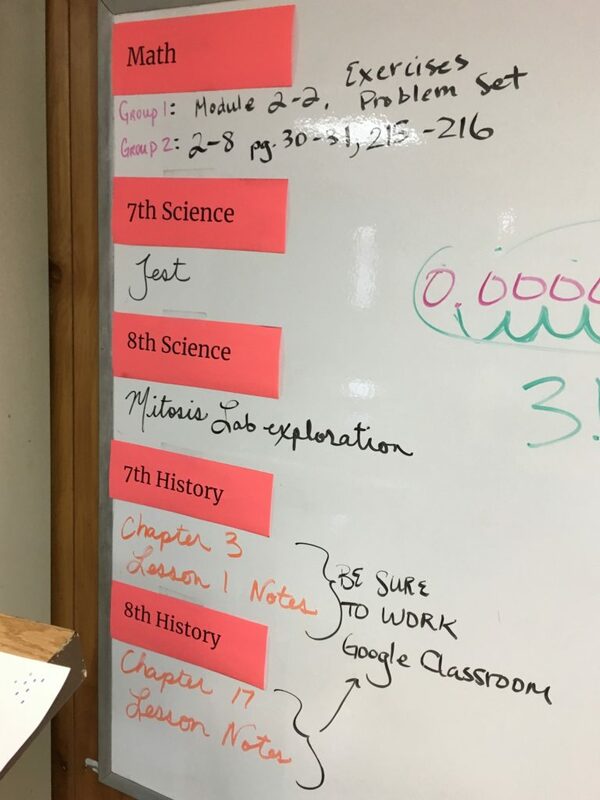 At school, we are working hard to keep our assignment planners accurate each day. At the end of the day, I go subject by subject and write on the board what the students should write in their planners. Often, I get conflicting information about Science and History, both of which happen in the room next door. Sometimes I remember to look next door and write down what my coworker has written, but sometimes I have to do it on the fly. When that happens, I just take a picture. It’s so nice to have something the kids can’t dispute. That teacher has very nice handwriting. That is smart of you to have indisputable documentation! I am quite curious about ‘Jest’ for Science class….